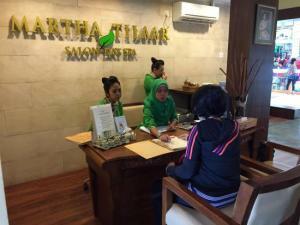 Martha Tilaar Spa is managed by PT . Cantika Puspapesona . One of Martha Tilaar Group company that handles body treatments beauty services. Managed by professional staff who are experienced in the field of beauty and spa, Pt. Cantika Puspapesona can be your best choice to do business while preserving the beauty traditions of Indonesia.